I always suggest People that if they really want to make money online, the best source from which they will get maximum income is the field in which they are interested and Passionate about. Tons of Legit Ways have been Posted on this Blog, but still the best among all is that, which pays for your skills. And in this post I will share with you an another Fantastic idea & my extra Earning Source which i regularly use and really enjoy working as a Professional. This is the Concept of SeoClerks.com. 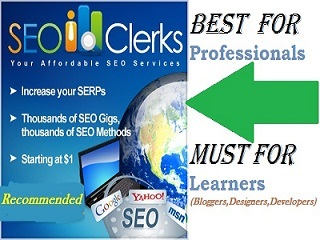 SeoClerks is a much Popular Website used Worldwide that provides a Home Based work to all the Freelancers and Experts. 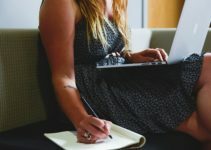 Professionals always search for quality clients and hires them to work for a small Projects (like Content Writing, Designing Videos, Increasing Facebook likes, Twitter Followers) and pays a decent amount of income. If you are expert in doing anything(Basically SEO Services) you can offer your Service by Posting a gig and interested people will ask you to complete an order within specific time limit and Pays you. With Seoclerks you can earn money up to 1000$. Another Popular site which offers this kind of Service is Fiverr.com. With Fiverr you can earn a maximum of 5$ and can offer anything but SeoClerks is restricted only to SEO services. How to Earn Money from SeoClerks? -> Go to SeoClerks.com and register for an account. -> After Verifying your email, start by creating a Post by clicking on Sell a Service Dropdown in Sellers Menu. You can directly Jump to a Particular Category if you are offering a review, tweets, articles, Blog reviews, Ebooks and Softwares. -> You will redirected to a Post Page where you fill all the essential requirements in order to Publish your Post. Below is Just a Snapshot of a Gig I Have Posted their. -> After Publishing your Post, wait for Buyers to find you and offer. To get quick orders implement all the tips i have explained in the next section. You will get Payment with PayPal or PayZa. Seoclerks will take 10% commission for any services you offer on their Website. #1 Try to offer quality and Unique Gigs. Make your gig title appealing and give a detailed description of what you are offering. It will help in improving your gig ranking in the specified Category. #2 Assure a Guarantee and Set a deadline up-to which you will complete the order(set it low). It will definitely attract the Buyers. #3 The Ratings which your clients will give after you have submitted an order is very essential and frequently analysed by the Buyers before approaching towards you. So Never Post anything which you are not capable to do and never give an incomplete order. #4 Advertise your gig on Social media and distribute your Gig Link with a 100-200 word Post in Forums and communities. #5 You can offer a reasonable discounts in your gigs as they always attracts. 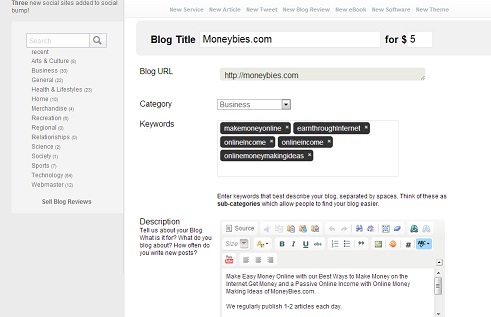 In addition, you can also buy a featured Post on Seoclerks by investing a small amount that will show your gig on the first page. #6 Research some Gigs in your niche and analyse the market to set your final rate which you will offer. How I Make Money with it? I think you have got all the Knowledge you required to start with SeoClerks. As I said above SeoClerks is my extra Income Source and till now i have earned 25$ for the two Posts I have Published for writing an Article and a Sponsored Review. You can see all my Posts by clicking here. It’s definitely a good Option if you have the Capabilities to provide Quality Work. One can look for all types of Quality Programmers, Social media Experts, SEO Optimizer, Back-links creator, traffic mentors, Article Writers and anything you can think of. 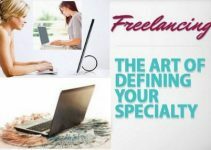 Although I haven’t earned huge but lots of people are making a life of it as it’s major advantage is it’s Home Based Functioning i.e Freelancing. So Why not if I can Earn you Can’t? Start Today by visiting SeoClerks.com and see the money expanding in your monthly Earnings. Hope you have enjoyed reading the Article. Subsrcibe our Email Newsletter to get the the most important and latest Updates on other Income Source directly to your Inbox. Share Sell your SEO, SMM, SMO Skills and Make Money with SeoClerks on Social Media..!! Nice share buddy. SEOClerks is really a great place for SEO strategists to make some quick bucks online. Thanks for sharing. Never heard of seo clerks, lovely will add it to my to do list of sites to build up.